Materials: RhinestoneColor: Black Diamond, JetType: Hair Jewelry / BarretteAlloy metal: Rhodium platedSize: 3" long and 1-1/8" wideCondition: Brand new! Flower crowns are so predictable, people. Try a chic, unexpected hair accessory to solidify your status as best-dressed. No holiday hairstyle is complete without a festive accessory. From pins, headbands, and barrettes, there's a number of sparkly and sleek hair accessories to choose from. 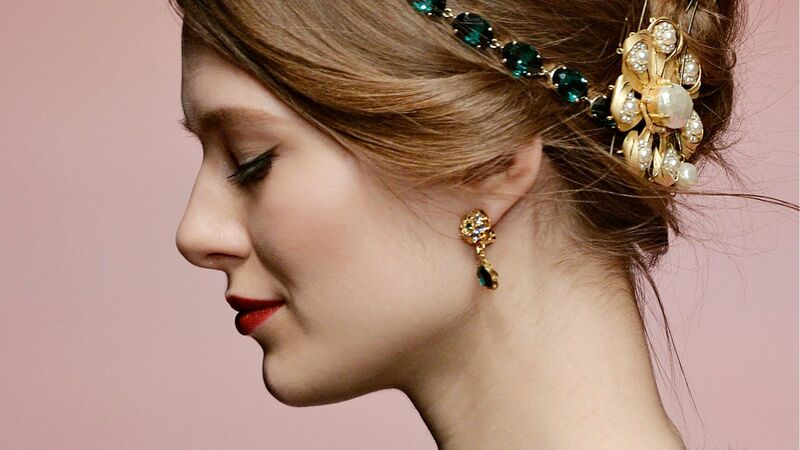 Here, we've rounded up the prettiest hair accessories to add to your holiday look. Don't ever let anyone dull your sparkle. Add some flair to your hair with this holographic silver barrette.